WIll WWE’s Dolph Ziggler Finally Make This Push Stick? In the world of pro wrestling and the WWE in particular, being good is not always good enough. Dolph Ziggler is the perfect example of this. The guy works as hard as anyone and is physically gifted in the ring and out. He sells for his opponent better than most anyone and he goes all out night in and night out. So why has he still not quite broken through to that upper echelon? The answer to that question is a bit tricky. 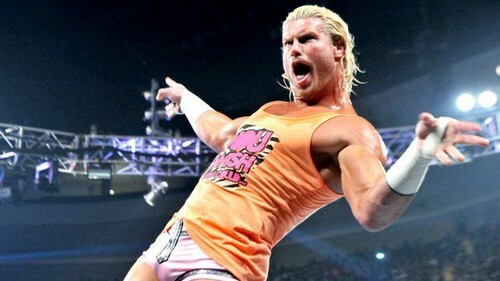 Dolph Ziggler has had his chances in the limelight. As delayed as his pushes might have been, they did come. Many would argue that his World Heavyweight Championship was far too short and I would not disagree. The bottom line is that Dolph is an enigma. He is the guy that fans love to back until he actually gets there, and then grow bored of quickly. Think about it. When Dolph is not wearing championship gold, he is always “the guy that should be wearing championship gold” to most fans. He is not being treated fairly. He is not given the chance to run with it. He is, in short, Daniel Bryan 2.0. So why did Dolph not stick once he got there? Compare the two pushes for a moment and you will see the differences clearly. Daniel Bryan received an extremely high profile feud with the head of the company in Triple H. Dolph got a Money in the Bank cash in on Alberto Del Rio. The slow burn of Bryan compared to the sudden yet exciting cash in is no comparison. Bryan had the chance to slowly build to his win and bring the fans along with him. The ups and downs were well documented. Dolph was a winner and then nobody seemed to care after the initial pop of his win. This time around, Dolph seems to be taking it all in and slowly building his face time. The crowd is firmly in his corner and his work in the ring is as good as ever. Perhaps if the WWE pushes him in the next year it will stick. I certainly hope so because Dolph Ziggler has worked for it and deserves it. Too many others have it handed to them for no good reason. By the way…where has our WWE World Heavyweight Champion been for the last few weeks?